We will authorize your payment method for the full advertised amount when you order this item, but you will not be charged until your item ships. Any advertised discounts or savings will still apply. Orders billed to PayPal, other digital wallets (e.g., Apple Pay or Google Pay) or non-USA addresses will be charged immediately upon checkout. This item is noncancelable and nonreturnable. The Sony VPLL-4008 is a 22.15mm f/2.0 wide angle (fixed) lens. 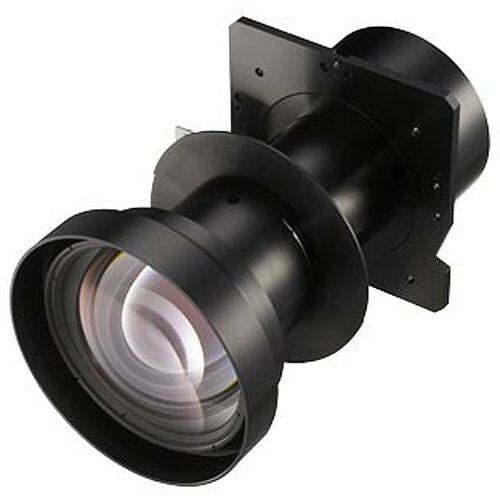 It is one of five optional bayonet mount lenses available for the Sony VPL-FH300L and VPL-FW300L projectors to support various installation environments, from long-distance projection in large auditoriums to short-distance rear-projection applications. Projects onto a 40-600" screen. Measures 9" long and weighs 5.7 lbs. Box Dimensions (LxWxH) 14.4 x 9.8 x 8.9"